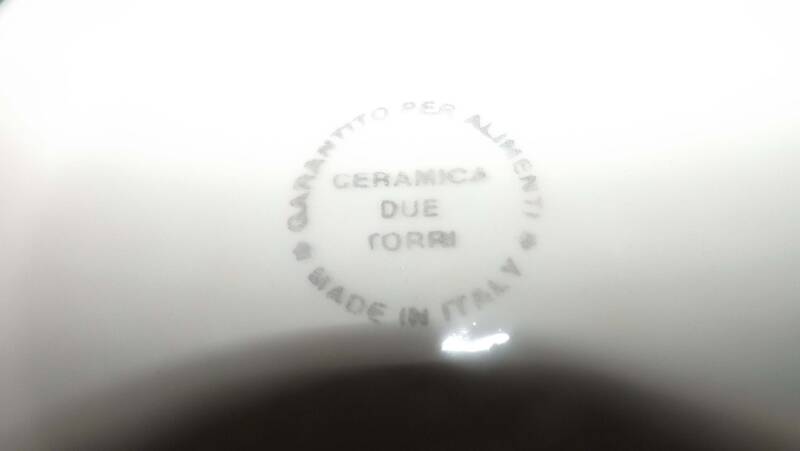 Vintage (1970s) Ceramica Due Torri Italy (Garantito Per Alimenti) large, hand-painted salad or pasta serving bowl. 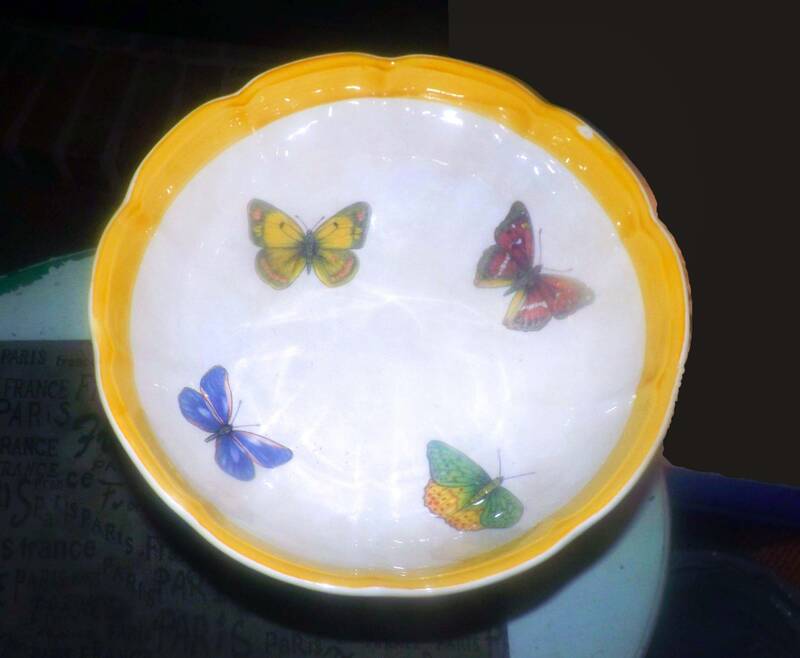 Made in Italy, the interior of the bowl features different brightly colored butterflies with a broad, butter-yellow border band. 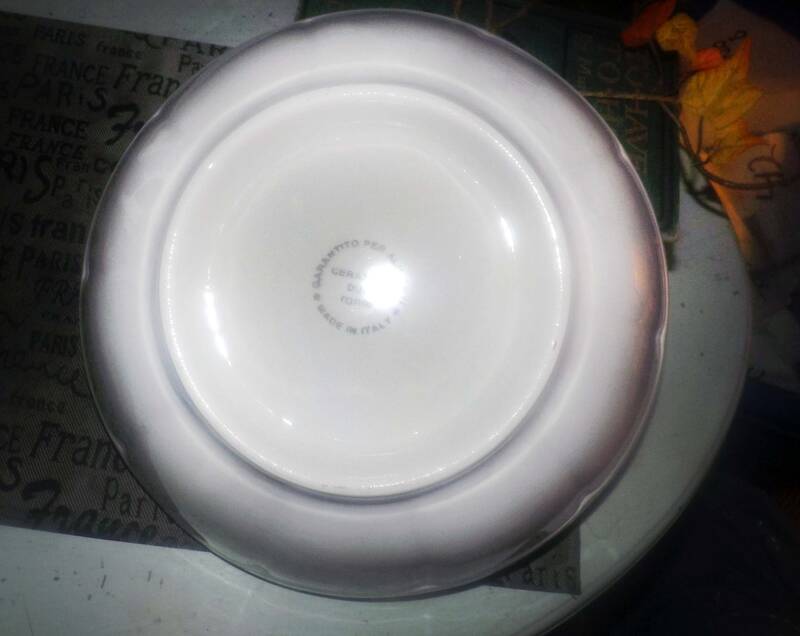 The bowl has a gently embossed and scalloped edge and a ribbed outer body. 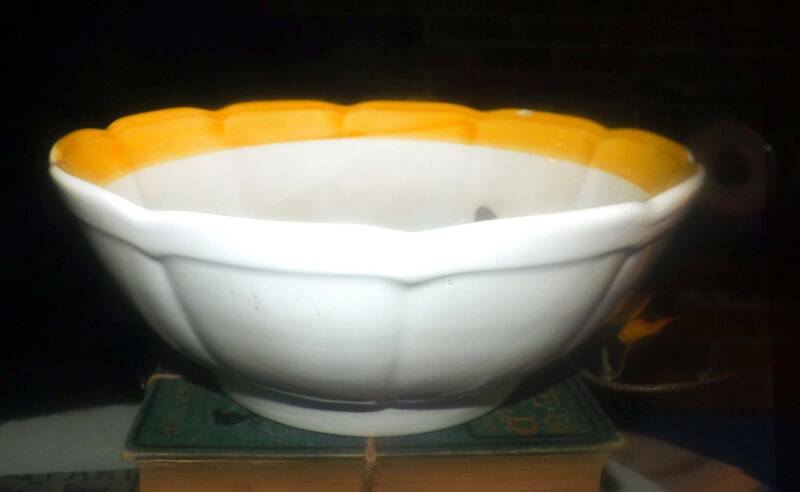 The outside of the bowl is an antique white color. In VERY GOOD! 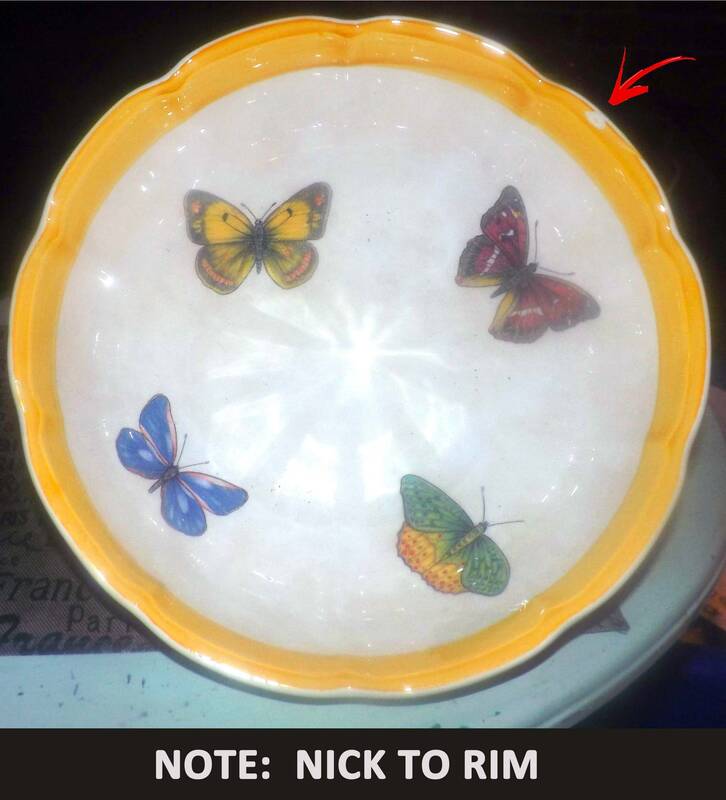 vintage condition, there is a nick to the inner rim of the bowl (please review each of the posted photos for a complete visual of the item). Otherwise, there are NO! other chips, nicks, or fleabites, NO! cracks and NO! marks or stains. The butterflies and florals are bright and vivid with NO! fading apparent. Approximate measurements: 11" in diameter x 5-1/2" deep with a scalloped edge, embossed perimeter accents and yellow border band.